Modern masculinity, repressed emotions, and gender stereotypes perpetuated across our culture are well examined in Jennifer Siebel Newsom’s powerful new work. 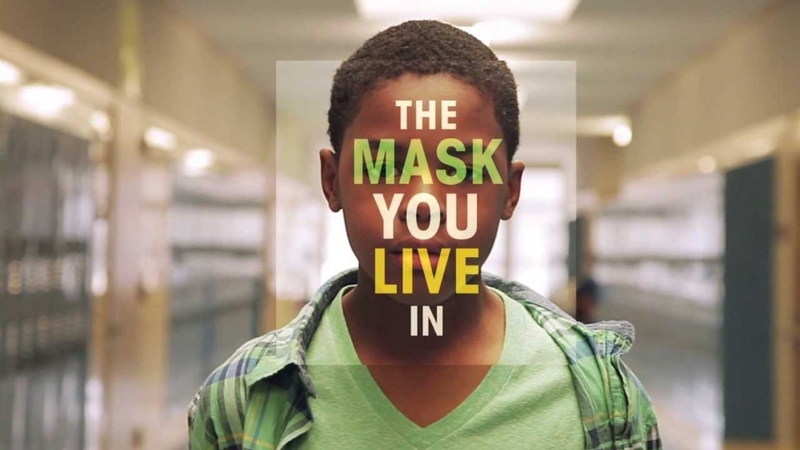 The Mask You Live In deftly explores the strong messages and societal expectations that are both overt as well as embedded and reinforced through popular culture, sports, and our media. Men from various backgrounds share the impact of their upbringing, relationships with their fathers, their struggles, and the deliberate choices they’ve made in raising their own children. Experts in the field, including authors, doctors, and educators, provide research as well as observations on the challenges men and boys face in our society’s unrealistic expectations of hyper-masculinity.